Twitter is one of the best social media platforms for brands to be on right now. Twitter can be utilised to drive leads and sales, build brand trust and improve customer service experience. If you would like to expertly boost your brand using Twitter, it would be smart to get help from a social media marketing agency. 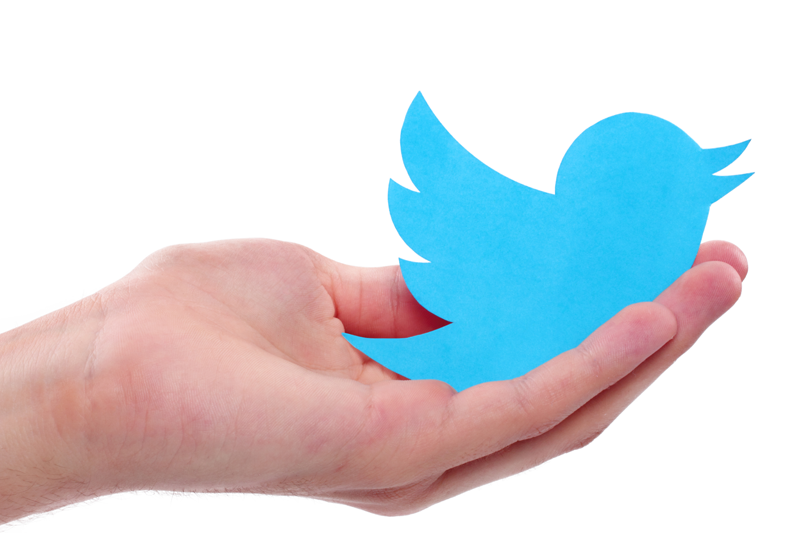 Take a look at these 8 tips for the perfect twitter marketing strategy. Good content is a common denominator in the success story of any marketing effort, there is no shortcut to delivering good content. Unlike other social media networking platforms like Instagram or Facebook, Twitter is a little more tricky with content in the sense that the kind of content pushed out consistently over a period of time would shape the voice of the brand and brand perception. Whatever you want people to remember the brand for is largely dependent on the kind of content that is pushed out. Take the profile page of the brand’s Twitter account seriously as much as any other aspect of the marketing campaign. The profile page is what Twitter users will check first to ascertain how legit the brand is, understand what the brand is and find any relevant information that will enable them to take the brand seriously as an authority in their defined niche. This is the place where brands can build and gain the trust of their target audience. Twitter is also one of the highest-ranking social media platforms that search engines like to show in search engine results page (SERP). This implies that when people search for the brand or enter relative keywords, your Twitter profile details would appear on such search results, so make it count! Ensure that the bio is properly written and has relevant helpful information. If you can get your account verified, that’s also a good move which would help people trust the brand more. Every brand is going to have a number of ghost followers for a very long period of time before they willingly come out of their shell to become active followers. One of the ways brands can quickly convert these ghost followers, who secretly watch all the activities of the brand online to determine whether or not they should publicly associate with it, is by creating strings of rich conversions. Get people talking about something (good) about the brand. You can start by openly answering frequently asked questions. You can create strings of conversations that solve challenges that people have. You can create tweets that encourage people to retweet for a reward or get something in return – to promote a cause you are supporting. This is a great way to increase the brand’s presence online and get more organic followings, reach or impressions. This is one of the quickest ways that the brand can get noticed by people who have an interest in what the brand does. It is true that craze for social media followers count is increasing day by day and the temptation to do everything possible to get an impressive number of following is everywhere. That said it is better to have 1000 relevant and active followers that can gather thousands of reach and impressions than just to have your tweets staring back at you with no impressive analytics or results. Follow people who are relevant to the brand and those who are likely to be interested in what the brand offers. There are free and paid social media tools that you can use to find Twitter accounts relevant to your brand. This is a crucial aspect of any marketing effort and it can determine its failure or success. If the brand is just opening a Twitter profile, the Twitter analytics might not be of much use because there is very little information about who are the followers. So gather up relevant followers so that you can understand them better. The other way around this is to use results from the brand’s market research to understand its target market. Before setting out to launch the brand or start any marketing campaign it is important to do proper market research. Results from this market research can be used to understand the kind of Twitter users the brand would be targeting online as well. This would determine the kind of marketing content that would be pushed out too. While you are running promoted ads, pushing out relevant content, following relevant accounts, getting people to have conversions with your brand’s Twitter page, you should also be actively involved in trending discussions that are relevant. Brands obviously can’t contribute to every trending discussion on Twitter but they can select the ones that are relevant and that would not harm the reputation of the brand. There are social media tools and Twitter accounts dedicated to showing daily trending discussions on Twitter (usually with hashtags). Pick the ones that you are certain that the target audience within the locale of the brand is likely to join in on. Make your own relevant contributions as frequent as possible. According to Social Fresh, tweets that do not have links tend to perform far better than the ones that do. Yes, there is a need to direct your followers to your website but you don’t have to do it every time. Rather you can insert links into promoted tweets to drive more people to your website, while you can creatively use other interactive contents like GIFs, animations, short videos to inform your followers about things they can do with or get on your website. It also helps to keep your website name short, simple and memorable. There is a lot of content flowing through the timeline of Twitter users. Brands need to know when exactly their tweets get the most result. Studying each analytic of every tweet can give brands a better understanding of this. First, start by tweeting regularly throughout the day for two to four weeks. Study each analytics report to get more details about when your tweets get more engagements then be sure to tweet at that time regularly.